Four New York State trade associations representing heavy-construction contractors are suing the state over Gov. David Paterson’s announcement in March that the New York Dept. 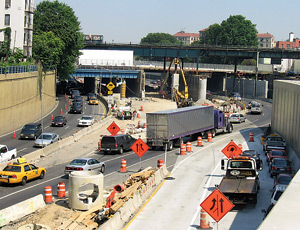 of Transportation would halt payments on all capital construction projects not funded by federal stimulus dollars.